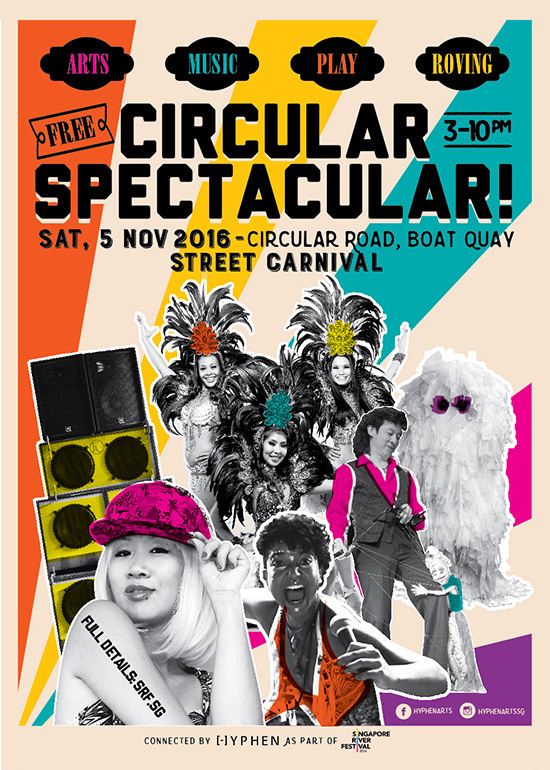 Check out our Sideshow daytime takeover at Circular Spectacular from 3pm! Circular Spectacular is a street carnival bringing Circular Road at Boat Quay to life with a variety of live music, arts installations, roving performances and interactive fringe activities for all ages. Expect a real spectacle and party along one of SG’s most colourful and vibrant streets as we bring you show-stopping acts, sensational artists from around the region and snazzy vibes!